This 50mm electro-brass wardrobe lock is fastened to the inside of the wardrobe and provides some security for the wardrobe. The wardrobe lock includes a key, and can be easily locked and unlocked. 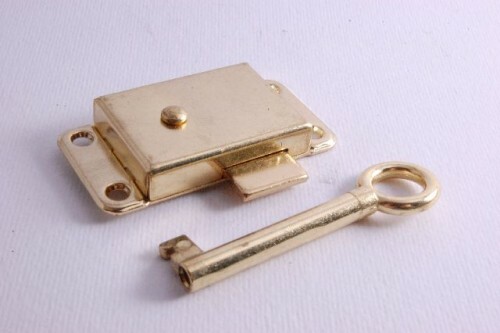 The wardrobe lock has a electro-brass finish, which will look good around the home or on most wood.